Tickets for the Festival's exciting 2019 season are on sale now. 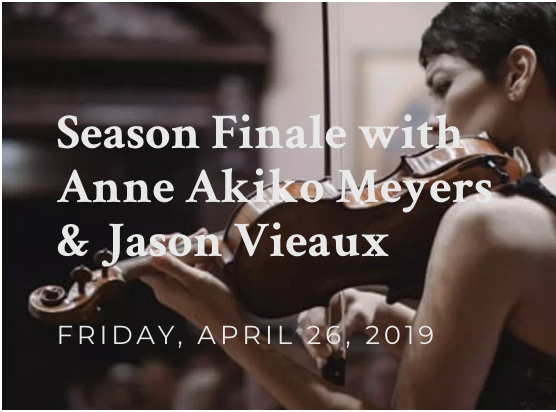 Season Finale Celebration with Anne Akiko Meyers, violin, and guitarist, Jason Vieaux. Ticket includes a dessert reception.